From Warren, Arkansas, Childs was an All-State selection in football and a standout triple jum[er (top-jump of 13.60 meters) before committing to the University of Arkansas to play his college ball. Childs had a solid career as a Razorback, compiling 1,829 yards and 5 touchdowns. His finest season came as a Junior, where he caught 46 balls for 659 yards and 6 touchdowns before tearing his patellar tendor. Childs came back to impress NFL scouts during the Combine, as his 4.53-second 40-yard dash was one of the fastest of the receivers. He also showed off his impressive leaping ability with a 36 ½-inch vertical jump and 10’5” in the broad jump. In the weight room, he tied for fifth among the receivers by bench pressing 225 pounds an impressive nineteen times, checking in at 219 pounds. 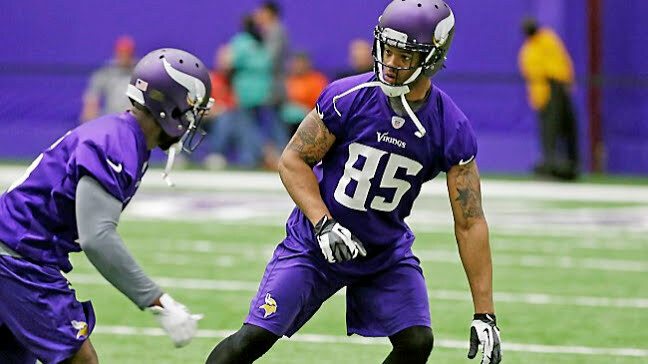 That performance led Childs, 6’3″ 217 lbs, to be drafted in the 4th round of the 2012 NFL Draft by the Minnesota Vikings; however, he suffered a torn patellar tendor in both of his knees during training camp, ending his rookie season. He was released two years later by the Vikings, and has had short stints with the Jacksonville Jaguars and Toronto Argonauts of the CFL. In 2018, the 27 year old WR will attempt his comeback with The Spring League to give his NFL dream one final shot.